They are not coping with our current population size of 5.4 million. And you don’t have to gaze into the crystal ball to predict that they will not do so either with a 6.9 million population. Our healthcare, transport and housing are still struggling to this day. And it is only the infrastructure that they have been trying hard to address. Having quality life goes beyond just the infrastructure. Devastating to know that our healthcare has advanced to the stage of war-torn countries where patients could be housed in tents. For transport, it has also advanced to the dismal state of even more frequent train disruptions since 2011. Issues of over-crowdedness, insufficient air-conditioning for the crowd size on trains and long waits for buses remain unresolved. Housing pressure seems to have eased after KBW whined about his sleepless nights. COVs may have come down but did the prices for new BTOs do so? They are still growing upwards unfortunately. Already seriously priced beyond the affordability of our median income and with the persistent upward climb of the public housing prices, it will soon be priced at the median income of our ministers when the time for our younger generations come. There has been a lot of drumming on their actions of corrective measures on these three areas. More housing units, more hospitals, more trains and buses targeting are coming along our way to allay the current crunch. 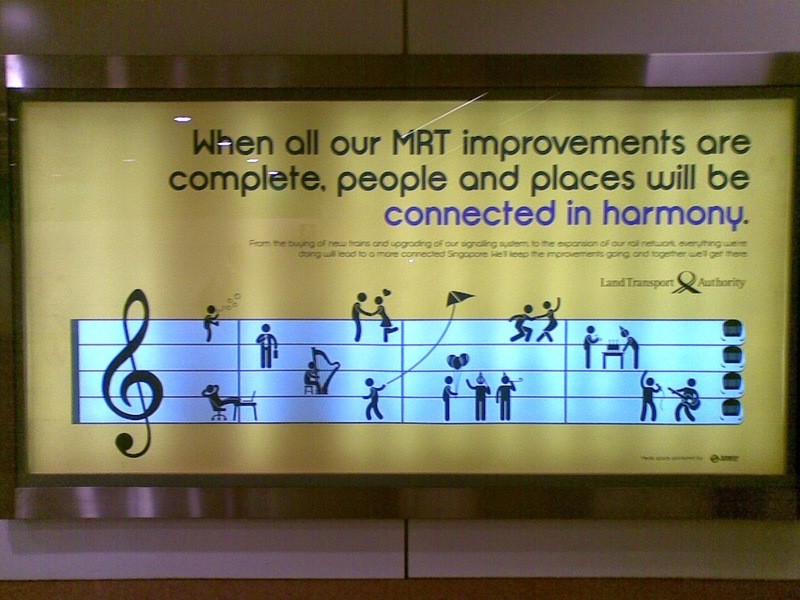 SMRT and LTA are seen spending more efforts in putting up conspicuous posters in blue and yellow trumpeting about the future harmony as a result of their effects than effecting genuine improvements on our trains’ unreliability and overcrowded issues. This is the same with our healthcare and housing too. Because the intention of magnifying all their efforts is to create the perception that they are addressing the problems, to build up the anticipation on the future which neither the PAP nor us can secure. Luring voters to bet their faith on the future that is yet to materialize. Btw, they didn’t know that they will have to upsize their original target of having 4 million population by 2010 to 5 million and by 2010, we found ourselves to be swarmed by additional 1, 000, 000 people on this tiny little red dot. That was not the future which we were being promised. People need to be convinced that the discomfort that we are enduring right now is only short-term….although it has been a decade-long discomfort but the future will be bright. However, the future is full of changes. Even LKY did not imagine that he will get to see the day when two casinos were introduced. The grandeur of plans may turn out to be expensive cosmetic procedures that address merely skin deep issues. And by the way, whose future are they referring to? Ours or theirs? Having a line up of the most modern hardware doesn’t warrant efficiency at all as proven by the overturned/burnt police cars in Little India or the barriers at the Customs. 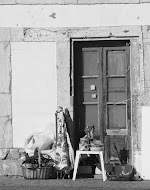 We need the software which is precisely what is seriously lacking. Many band-aid measures and schemes were introduced but only scratch the surface of the issues. The band-aid adhesive bandages prove futile to a cancerous tumor and therefore not surprising that our transport, healthcare and housing are still moving backwards three years after GE 2011. Even in the most positive note, these are attempts, only attempts mind you and not solutions, which are long overdue, that should have addressed the consequence of last decade’s mindless population expansion and therefore, should not be even considered as a form of preparation for our future population target. And still, they fail to assuage the yester-years’ problems at our current population size. New trains/buses or wooden sleepers themselves can’t perform the necessary magic to put a stop to the train disruptions or unpredictable bus arrivals. Most importantly, unable to absorb the growing crowds which is the main culprit for overcrowding. Even new trains at Circle line can stall or a bus captain on a new bus can lose his way in the traffic or forced to inch through congested roads. Hardware alone does not ensure an efficient public transport system automatically. How would these new purchases and sleepers manage the 50 000 additional people (20K new citizens and 30K PRs) imported stubbornly each year who will further strain our public transport and roads? And for Pete’s sake, that costly intelligent Bus management system may be intelligent but it cannot reduce the waiting-time for buses which is the main grouse about buses. The additional new train lines will bring about increased ridership which will serve to further complicate the current system and will those involved be competent enough to manage? Especially when it is a downright profit-oriented public transport system. What next after building 10 community hospitals? How are they going to account for the shortage of healthcare workers? Are they planning to import planeloads of healthcare workers on top of the 50 000 new citizens and PRs to nurse the expanded population? Are we then to plan for additional transport and housing needs for these healthcare workers on top of the original human import target? Where will this madness of instant human imports lead our country to? Public housing debt eats into retirement funds. The pricing of our public housing is a killer. But KBW is sleeping well again. While clearly still struggling to contain the infrastructure shortage and creating the false impression that they have the situation under control, this is at best, only clearing the backlog of our old problems, they still have not yet, or with no intention at all to address the future issues that arise from a population expansion. On the other hand, they remain dead right on the target of importing 20 000 new citizens and 30 000 PRs annually as cited in their Population White Paper to attain their sacred target of 6.9 million. Naïve to assume that having more residential units, expanded train lines and more hospitals will automatically quantify for quality living. That is the myth that they are trying to sell to the voters. We can have more of every of these and yet could be hard-hit by high inflation, sardine-packed condition even on off-peak trains at a higher fare, even longer wait for even costlier medical attention, recurring outbreak of TB or measles or SARS, more social conflicts and crime activities, compromised hygiene level, continual influx of cheaper labour across all industries (except the political domain) and mid-income levels …. What I am trying to say here is that to build a proper country, not just building a city, requires more than housing, healthcare and transport. The level of security is no longer the same as it was ten years ago. The growing population and the range of nationalities imported into the country have created a whole new range of crime on top of our local “traditional” crime. No doubt the crime rate has statistically gone down, despite a bigger population, the actual crime rate on the ground do not. Some forms of “crime” have been re-defined and no longer be considered a criminal case. And you do not need any confirmation from the SPF to know that there is a shortage of law enforcers on the ground. The increasing population density will also subject the population to infectious diseases. There is no surprise at all to see a recurrence of TB and measles or some other new forms of contagious diseases. More will come. Higher population density will also increase the challenges of containing an outbreak. We experienced SARS outbreak in the early 2000s. Dedicated medical staff at the frontline made sacrifices to save lives. That was the time when our medical staff was predominantly local. If SARS was to occur now, it would be on a greater scale given the bigger population and at a point when local medical staff is the minority. Would our software competent enough to contain the outbreak? Recall the recent poor handling of haze and how the authorities fumbled on a simple and crucial matter of N95 masks distribution. Does that instill confidence? Do you seriously think they will be able to manage SARS the second time round? Will they lack the 20/20 hindsight again when tackling matters that concern human lives, I mean our lives? Will they be interested to deal with the issues beyond healthcare, transport and housing? Last but not least, the sense of belonging matters to a nation. But when citizenship could be monetized and exchanged cheaply for their personal GDP growth, it does not come as a surprise to witness the same people who blatantly make the citizens of this country the minority. To round it up, if they aren’t interested in tackling the REAL problems at a 5.4 million population, they won’t be interested to deal with the accompanying problems of a 6.9 population size. Even when political stake is involved, they are merely making a pretentious effort of being interested. The honest fact is, whether 6.9 or 9.6 million are of little importance to them because they are anyway insulated against the detriments since they are the biggest benefiter of a bigger population. We used to be an island with no resources and limited land we were being repeatedly told. The imminent 6.9 population plan has miraculously unleashed the abundance of resources and our land space for the newcomers.